One of the reasons I blog is because it gives me a chance to promote things I believe in. I do this a lot with the patient networks Ben and I run. 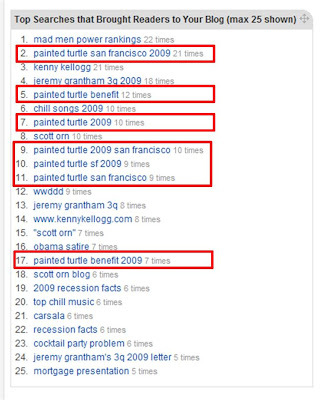 Here's a screen shot of the recent Internet searches that have resulted in traffic on my blog. 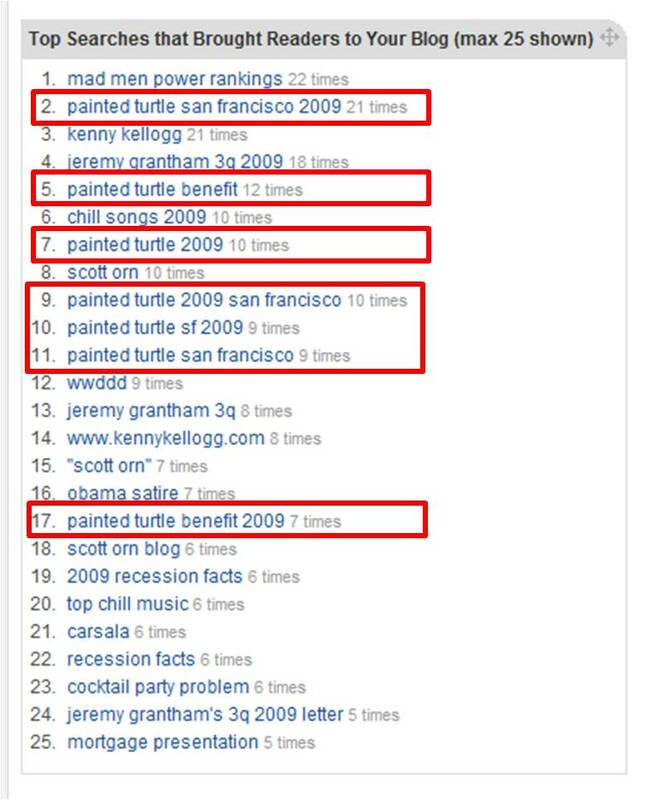 You'll notice that the Painted Turtle Benefit search term resulted in a bunch of people landing on my blog. I'm very proud of this because it means that people who wanted to support this amazing organization could get the ticket & date info they needed really easily. It's an example of helping a charity and friends out in a small way, but every little bit on the Internet helps.